When you have used your iPhone for a period of time, you may find some built-in apps are really useless for you. At this time, a problem may come to your mind: how to get rid of built in apps on iPhone. This issue is quite common among iOS users, in order to help you out of this problem, here I would like to share some methods with all of you. You can also learn the way to restore the app data that you have deleted from iPhone directly. In order to fix how to remove built in apps, you can refer to the steps below to make it. If you try the following method, you may be able to make some room for other new files as well. Now let’s check out the detailed instructions with pictures. 1. Click and hold one built-in app on home screen lightly until you see the wiggle mode to prepare to fix how to get rid of built in apps on iPhone. After that, you need to click on the “X” icon at the top left corner of the app you want to remove. 2. When a confirmation dialog shows up, you need to tap on the option of “Remove” to settle how to delete inbuilt apps. 3. 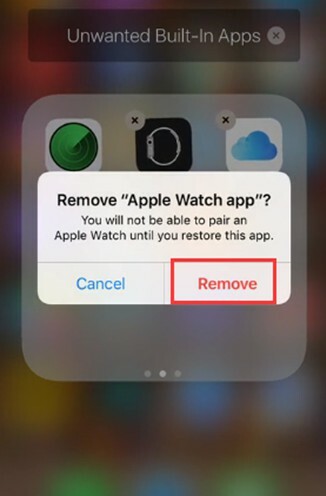 As for deleting other unwanted built-in apps, you need to repeat the first two steps. When you achieve your goal to cope with how to get rid of built in apps on iPhone perfectly, you can click on home button to back to normal interface. If you do not like to make use of the wiggle mode to deal with how to remove inbuilt apps one by one, you can also resort to one third-party software to improve the efficiency and speed. Leawo iTransfer may be the first choice for you to apply. 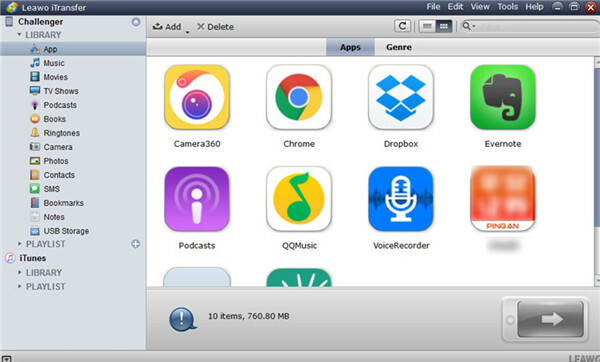 This program can offer you great help in managing and organizing files on iDevices. When you get to know its powerful functions, you will allow it to play an important role in file management among computers, iOS devices and iTunes. The steps to fix this issue are listed as follows for your reference. 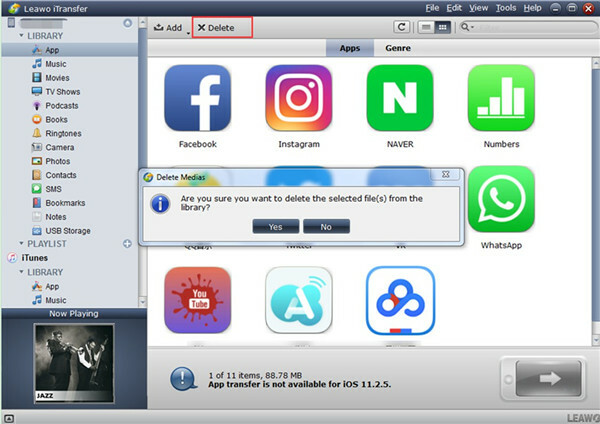 Run the tool that can address how to uninstall inbuilt apps on computer and then connect iPhone with computer via suitable USB cable. When you see the iPhone icon appears, you can click on it and then tap on “LIBRARY” option to choose “Apps” from its menu list. Thus, you can check out all iPhone apps on the right part of the interface. Choose the apps that you desire to remove from iPhone and then tap on the “Delete” button shown in the picture below. Click on “Yes” button when a confirmation panel shows up. The program will begin to delete them from iPhone immediately. This procedure will continue for several seconds and then you can get your target perfectly. Except settling how to delete built in apps on iPhone X, you can also take advantage of this amazing software to deal with other transfer issues quickly. 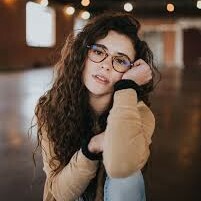 If you also want to know how to make it, you can go to the official website to search for corresponding tutorials to help you. 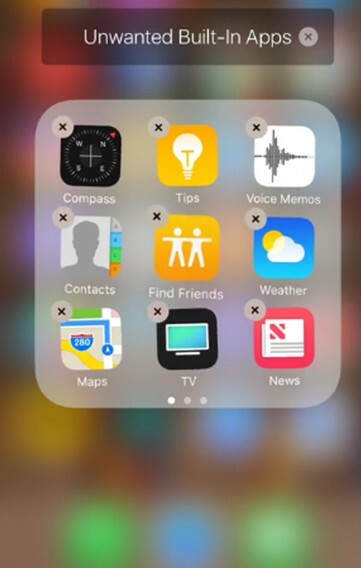 If you use iTransfer or other methods to cope with how to delete built in apps on iPhone X successfully, but you find you have removed one app that you want to keep, what can you do at this moment? In fact, this issue is not so serious. Don’t’ worry! One great tool can help you retrieve the files or app you have removed. This is just the Leawo iOS Data Recovery software. Many users are fond of using WhatsApp to contact with others via quick and short messages, and these messages may contain some important information that you need to use. At this time, you can download and install iOS Data Recovery software to help you out of trouble. Now follow me to read the following steps to get a clear understanding on how to make it. 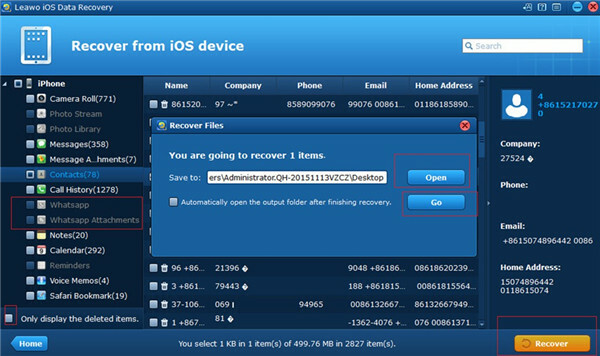 Launch Leawo iOS Data Recovery on computer and then choose“Recover from iOS Devices” from 3 modes. Plug in iPhone into computer via useful USB cable and then the software will detect iPhone. 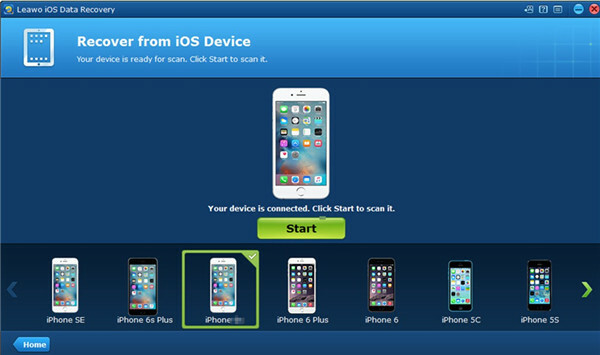 When iPhone analysis is finished, the software will begin scanning iPhone contents. From the left sidebar, you can see various categories, including “Contacts”, “Notes”, “Calendar”, “Whatsapp”, WhatsApp Attachment” and so on. Put a check mark before the option of “Only display the deleted items” to make the content display more clearly for you to choose. Choose “Whatsapp” and “WhatsApp Attachment” and then check the files you would like to recover. After that, click on “Recover” button at the right bottom of the window. In the pop-up panel, you need to click on “Open” button to browse computer to find a proper folder to save the recovered file and app. After that, tap on“Go” button to begin to recover WhatsApp from iPhone directly. When the process comes to an end, you can access the deleted WhatsApp files on computer folder successfully. Although Leawo iOS Data Recovery is really convenient for you to use to recover files, you’d better delete something carefully from iPhone. It is not a good habit to make mistakes and then find ways to correct it. Be more careful and you will have more time to do other things perfectly. 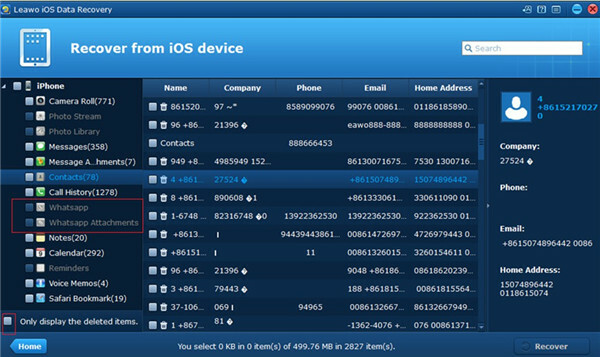 As for Leawo iOS Data Recovery, you can also use it to backup iOS devices to computer without any difficulty. If you need, you can have a try.